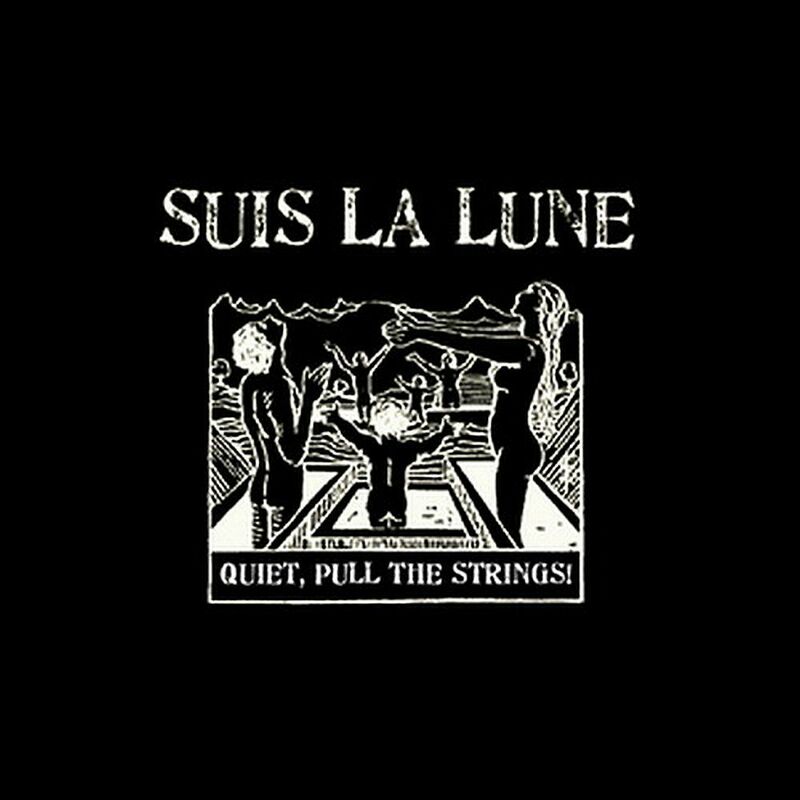 Suis La Lune - Quiet, Pull the Strings! 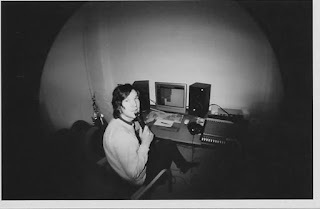 Henning Runolf from the Swedish band Suis La Lune talks about recording of their debut album "Quiet! Pull the Strings!" 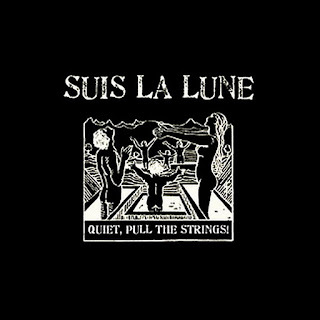 "Suis La Lune was at this point (February 2006): me - vocals. Andreas - bass and vocals. Karl - guitar. Daniel - drums. Robert - guitar and vocals. 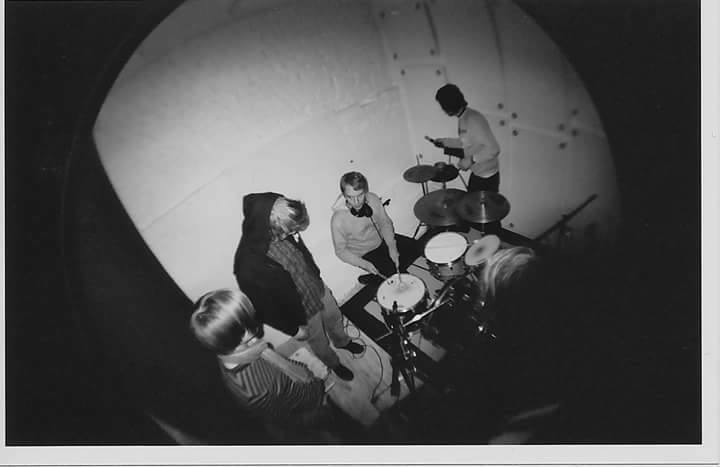 We had not been a band for that long when we found ourselves recording our first album. We formed in early 2005 and recorded a demo with 4 songs pretty early on. We played a hand full of shows in Sweden and went on a small UK tour just when our 7" was recorded, in late 2005. After that I wrote a lot of song ideas and suddenly we had enough ideas to make an album out of it. The thought of making an album was really exciting to all of us! Daniel's friend Olis in Gothenburg had just gotten his hands on a sweet location in the central part of the city, where he had put up his studio and he was excited to record us! So the rest of us packed our guitars in a car and drove down to Gothenburg from Stockholm to spent the next week recording what would become Quiet Pull The Strings. At this point Olis had actually never recorded anything heavier than pop based indie bands before us. I think that's maybe part of how the sound of the record turned out. I remember that he placed the overhead microphones for the drums like a meter away from the drum kit, at a meters height. It gave the drums a lot of room sound. Daniel used a really jazzy looking, deep bottomed snare drum that we didn't tune up all that much, which gave it a pretty deep and low sound, for a snare. I don't really know why we did so, I don't think we had much of a thought behind that. That was just the snare Daniel had at the time, so we used it for the record too. The amps were placed in another room. Bass and one guitar was recorded live together with the drums. There was only one amp that we really liked in the studio, a Mesa Boogie Mark 1. In fact we liked the sound of it so much that we ended up using it for all the guitars on the record. It had a really beautiful spring reverb which you controlled with a knob on the back of the amp. For the more postrocky sounding guitar takes we turned it all the way up so the guitar almost drowned in the spring reverb. Karl played on a Fender Telecaster Custom and Robert on a Fender Jazzmaster. We had our basic Boss pedals with us. Blues Driver, Super Overdrive, reverb, delay. 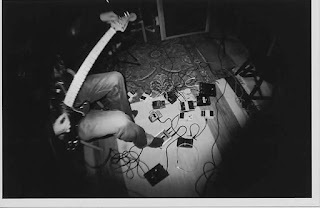 Andreas used a short scaled Shaftesbury Telecaster bass and an ReezaFRATzitz Emma distortion pedal. I think we used that one on basically every Suis La Lune recording to date. It sounds so good on bass! itars and loops to it. Utter Silence Is Fragile was one of the newest songs when we recorded it. Daniel had actually never practiced it together with the rest of us and he was really unsure if he was gonna nail the fast parts. He was convinced I would have to play those parts. But he nailed it on the first take! I stood with him in the drum room to mute the ride cymbal at the short break in the middle. "...Calls For Beautiful Acts" was a spur of the moment thing. We felt that nine songs were a bit too short, so Robert quickly wrote that one in the studio. Everything was live, just two overhead microphones, two guitars, Karl played second guitar and I played drums. Daniel was working, so he joined us later. We also wrote the last ending part of My Mind Is A Birdcage in the studio the day before we started recording everything. Up until that point it used to be a fairly short song with a long intro that we used to play in the middle of out sets when we played live at that time. But now we wanted it to conclude the album, we wanted it to be longer and more epic. So we wrote and added that last part. a red thread throughout. And we hoped to do something similar. When we were gonna record the vocals Olis first couldn't find a decent microphone that would work out for screaming in, since he usually only recorded plain singing with really sensitive microphones. But we ended up using a Sennheiser MD421N that he used for the toms on the drums earlier. I had never recorded so many songs after each other before, so I was really nervous that my throat was gonna blow out and I would've ruined the recording process. That I would had to go back to Gothenburg at some point and record the rest when it was better or something. But luckily my throat held through. we wanted to record. All over the record really, but especially on My Mind Is A Birdcage, Robert kept insisting on more overdubbs and extra guitars here and there. Olis just recorded but muttered something about...a lot of guitars...you already have a lot...just saying. After five days we had recorded everything and so Olis mixed and mastered it together with us on the last two days of the week. Overall we were very happy with how the record turned out. But we also quickly realized how fast we had made everything. A lot of songs were basically just thrown together and a lot of parts go way too fast on the record. Mostly I think we were just overly excited to have an actual album done. We couldn't really believe it. The sound of the recording was not anything we particularly liked at first. We didn't have a thought on how we wanted it to sound when we recorded it, it just sounded the way it did. But later on we learned how we wanted things to sound and how to make it sound that way too. That's probably why we never recorded in a studio again and always recorded everything ourselves. Don't get me wrong, Olis did a great job and the record has a really special sound to it that we didn't even reflect on at first! But on some things we didn't really agree. Like when we were mixing, we had to tell him to turn down the vocals a lot! He said that you could barely hear it but the rest of us thought it was insanely loud. I still think it's a little bit too loud, haha. We also did a lot of first time mistakes with the whole recording process and we didn't think that much about a lot of things I guess. 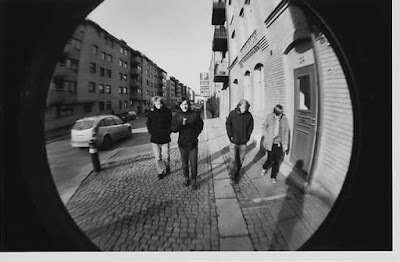 I remember me, Robert, Karl and Andreas listening to the recording in the car on the way back to Stockholm right after finishing the mastering. And I think that was actually the first time that we listened to it with fresh ears and with an outside perspective, first time outside the studio. We just recorded day in and day out and then mixed and mastered it on top of that. All in a week. I don't think we got any distance to it at all. But then again, we didn't really know exactly what we wanted it to have sounded like anyways. Me and Robert were only 18 at the time (Karl was 17) and we were all just excited like crazy that we just recorded an album with our band! That was the main thing. And that it was gonna be released on Ape Must Not Kill Ape was just insane. We didn't really think of how it could've turned out or sounded if we did things differently, at the time. It was a lot of fun but it was a great learning process too."